There are many medieval castles in Wales, but by the Tudor period many of them had fallen into disuse. 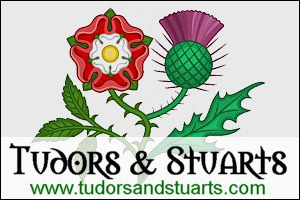 Here I have listed some Welsh buildings that have Tudor associations. CAERPHILLY CASTLE (Caerphilly, Mid Glamorgan) - It's the largest medieval castle in Wales. It was built by the De Clare family to defend their territory against the armies of Llewelyn, the last prince of Wales. CAREW CASTLE & TIDAL MILL (Carew, Nr Tenby, Pembrokeshire) - Magnificent Norman castle and later an Elizabethan residence. CARDIFF CASTLE (Cardiff) - Dates back to the Roman period. TREDEGAR HOUSE (Newport) - The finest country house in south Wales. It has been the home of the Morgan dynasty for over 500 years. TRETOWER COURT AND CASTLE (Crickhowell, Powys) - Dates back to the medieval period. DENBIGH CASTLE (Denbigh, Clwyd) - In the Elizabethan period, this castle belonged to Elizabeth I's favourite, Robert Dudley, Earl of Leicester. GWYDIR CASTLE (Llanrwst, Gwynedd) - Dates from c1500. In the Elizabethan period it belonged to the influential Wynn family. It is reputed to be one of the most haunted houses in the country. CHIRK CASTLE (Chirk, Wrexham) - Another residence that belonged to Robert Dudley, Earl of Leicester. PLAS MAWR (Conwy, Conwy) - One of the finest examples of an Elizabethan townhouse in Britain.